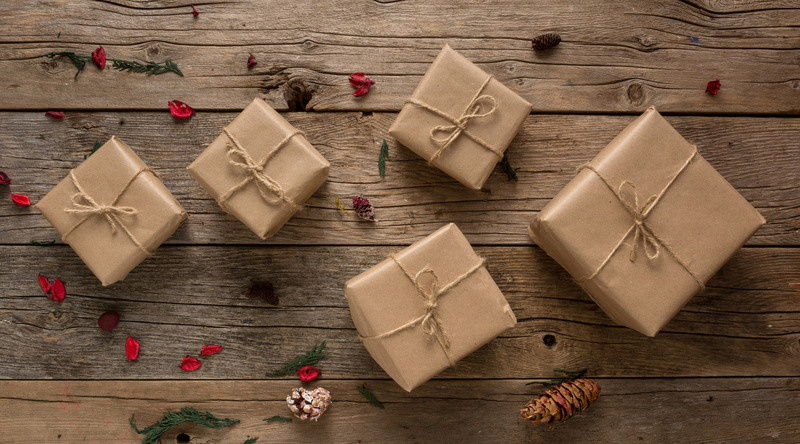 With the holidays fast approaching, it’s once again time to ask, “What do I get someone who has everything?” Everyone has at least one person on their holiday gift list who seems impossible to please. Well, we’ve got you covered! Back by popular demand, here’s the Ultimate Holiday Gift Guide for Travel Lovers. These gifts are perfect for foodies, luxury lovers, photographers, techies, fashionistas, avid readers and more. We've got something for everyone, at every budget. Thanks to our list, your holiday shopping will be a breeze – and you might just find a little something for yourself as well. Any seasoned traveler will tell you, noise-cancelling earbuds are a must. It’s easier to fall asleep wearing earbuds than bulkier headphones, and they’re a must for drowning out snoring seatmates or crying babies during long flights. These ones from Bose have been rated the best by TripAdvisor users. When you’re out for a day of sightseeing, the last thing you want is a low smartphone battery. After all, it’s your camera, your guidebook and your mode of communication all in one! Enter the Everpurse. The brand has teamed up with Kate Spade to create a stylish line of purses that also charge your iPhone! We love this wristlet version, as it’s the perfect size on its own, or tossed in an Azamara tote bag. The way to a culture’s heart is through your stomach. Many travelers are foodies, too – and this gift is for them! With a Try The World subscription, you’ll receive a box of seven or eight gourmet food items from a different country every two months. You can gift a single holiday box, three boxes over six months, or six boxes over twelve months. This gift is perfect for a travel lover with an artistic side. You may have seen these coloring books for adults in bookstore windows this year, as the trend has exploded across the globe. Coloring can be a fun creative outlet, and can even help reduce stress. These books are also a great way to while away the hours during a long flight! There are plenty of travel-themed choices within the genre. Along with a nice set of colored pencils, this is a great gift for someone who has everything. There’s no need to sacrifice style for comfort when you travel. It’s easy to have both! This collaboration between Clare V. and Parachute makes a wonderful holiday gift for travelers who love luxury. The kit includes a sleeping mask, blanket, and a carrying case that doubles as a cover for airplane pillows – all made of 100% extra-fine Merino wool. Wouldn’t that be amazing? Unfortunately, most of us only have a few weeks of vacation each year. This gift is perfect for anyone with a strong sense of wanderlust. The Rifle Paper Company desk calendar features gorgeous drawings of some of our favorite travel destinations like Amalfi, Bali, Monaco, and the Great Barrier Reef. This is the kind of gift that keeps on giving. It takes all the hassle out of getting vacation photos printed. This wireless, portable device prints photos in credit card and postcard sizes, directly from your smartphone or tablet. Books make great gifts, especially for travel lovers. Lonely Planet put together this fantastic collection of true travel stories, written by some of the world’s best fiction writers. World traveler and Azamara blogger Lee Abbamonte says the TripIt Pro app makes a great holiday gift for frequent fliers! "It's the best app for organizing all your travel like airline tickets, cruise reservations, trains, dinners reservations, golf tee times - anything, really and it's so easy to use. Plus, it alerts you to gates and delays before you'd know at the airport." The UK-based brand Herb Lester makes beautifully designed, foldable pocket guides for some of the world’s greatest cities. This European Gift Set includes all 22 of the European guides, covering some of our favorite destinations like Amsterdam, Barcelona, Rome and London. Still need gift ideas? Check out our 2014 guide, there's lots of great suggestions there! And from everyone here at Azamara Club Cruises, we'd like to wish you a happy holidays!